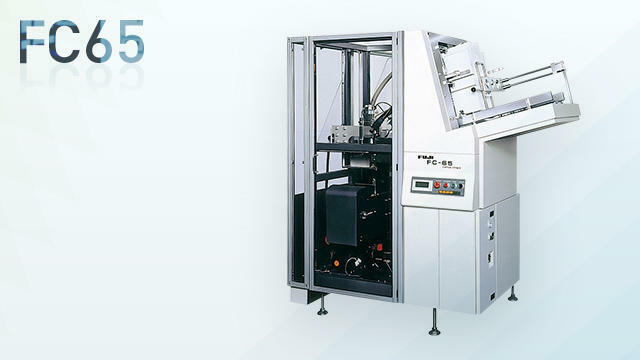 Of film automatic switching function equipped with FC65 | Cartoning Machines | FUJI MACHINERY CO.,LTD. Manufactures boxes from box blanks with the top open. Saves labor in the cartoning process by combining with various dispensers.